Justin Lindsey : Umpqua Investments Inc.
Justin Lindsey, his father Doug Lindsey, and brother Collin Lindsey joined Umpqua Investments, Inc. in 2009 along with their Registered Assistant Melissa Kiser. 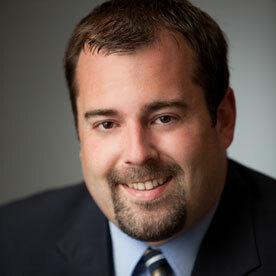 Prior to joining the firm Justin worked as a Financial Advisor at Smith Barney for 10 years. Between them, Justin, Doug and Collin have over 50 years experience as financial advisors. The Lindsey's have built their business with one goal in mind, to provide their clients with advice they can trust as they move towards achieving their financial goals. This approach has enabled the Lindsey's to build long-lasting relationships with clients and their families. Born and raised in Oregon, Justin graduated from the University of Puget Sound with a B.A. in Business and Public Administration, with an emphasis on Finance. In addition to his work as a financial advisor, Justin served as the head coach of the Lakeridge High School Swim Team from 2000 to 2009. Justin and his wife Robin live with their two children in Southwest Portland. In addition to the joys of parenthood, Justin and Robin enjoy travelling together, biking, cooking, and spending time outdoors.